When buying LED strips you are often confronted with the question if you want IP20, IP65 or even IP67 LED strip. These values stand for different levels of water and dust proofing. Let’s take a look at when you such use which variant. The IP20 rating officially stands for “touch by fingers (>12.5mm) | No protection”. The 2 in IP20 stands for being able to withstand basic touch and rudimentary dust protection. It won’t survive hard impacts or anything like that, but you can safely touch it with your fingers. The 0 in IP20 stands for no water protection whatsoever. That means these LED strips are ideally suited to be used indoors, but probably won’t last all too long outdoors (even if protected). 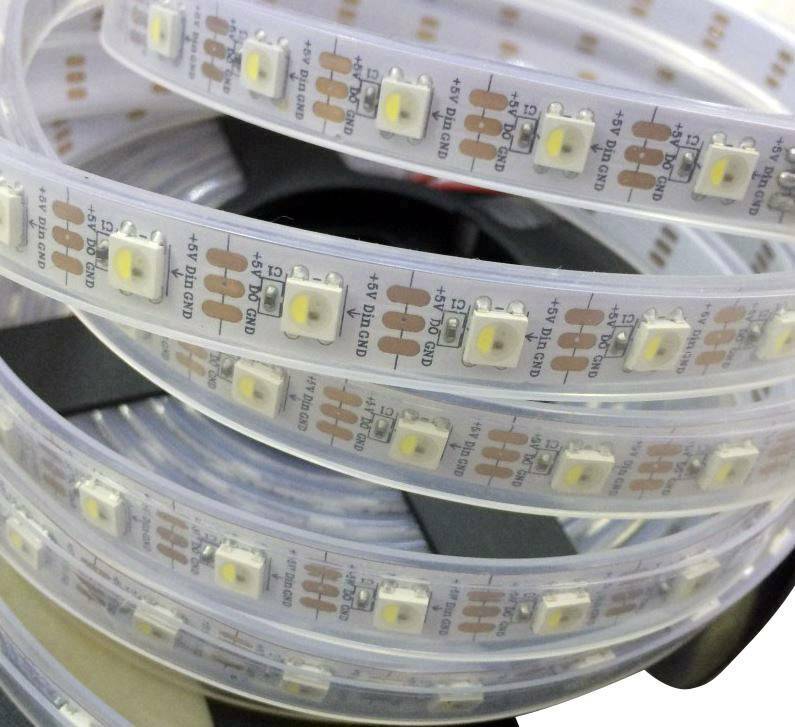 These LED strips also provide the best amount of cooling since both the front of the strip and the back of the strip are non-obstructed, so heat can go both ways which means IP20 strips generally last the longest. The LEDs are also able to shine brightest and most brilliantly because there is nothing obstructing them or to color the LEDs differently. I personally mostly use IP20 LED strip, only when an IP rating is required (outdoor) will I use something higher rated. The IP65 rating officially stands for “Total dust ingress protection | low pressure water jets from any direction”. The 6 stands for good dust and touch protection. Basically the LEDs cannot be reached so they are well protected. The 5 of IP65 stands for decent moisture or water protection. They should even survive a garden hose or something like that. This makes these strips ideal to use in outdoor situations where they are still inside of an aluminium profile or something of the sort. 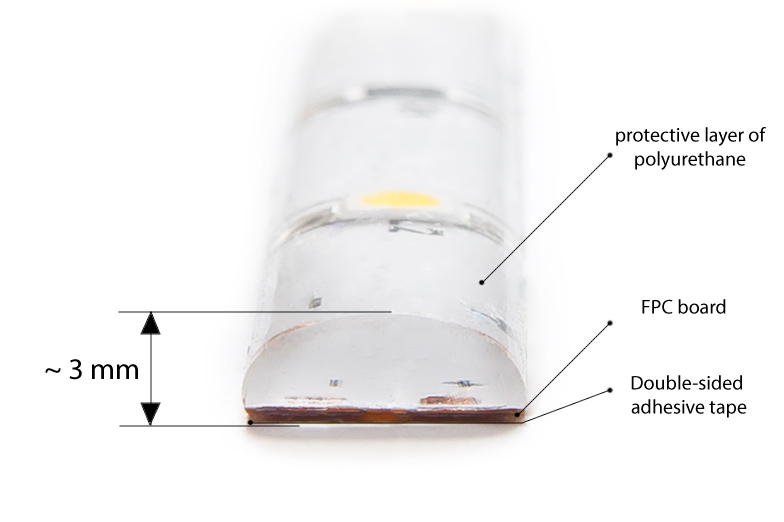 The way they achieve this protection is by adding a resin or epoxy layer on top of the LEDs basically fully sealing off the top end of the LED strip including all the solder joints and contact points. That means that, when properly mounted, they can without moisture and won’t corride. The downsides of this epoxy coating is that it also traps in heat on the top side making cooling from the bottom side even more important. Epoxy also has the tendency to color over time turning an ugly yellow or brown color which in turns colors the lights coming off the LEDs. I personally use this strip in any scenario where moisture (even in the air) can’t be controlled. 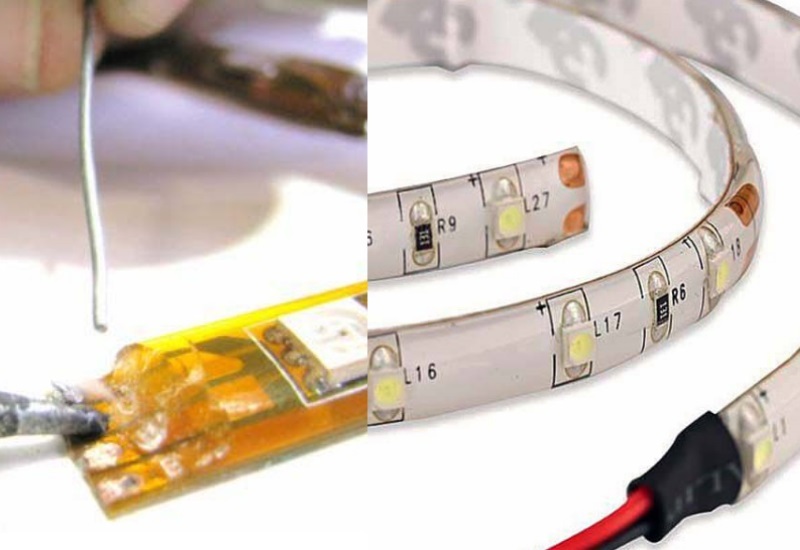 Epoxied LED strip lasts much longer in those kind of conditions but for inside they die quicker because they can’t release heat as well because of the epoxy layer! The IP67 rating officially stands for “temporary immersion to at least 1m from bottom and 15cm from top of object”. This means that the product is fully sealed against dust and can actually be fully emerged into water for a small period of time. Like the IP65 rated strip above they are great to use outdoors and can be used a bit less protected from the elements. Since this type of LED strip is fully sealed, you can’t mount it inside of an aluminium profile either. That can make mounting easier but also means this strip cools a lot worse then the IP20 and IP65 variants. 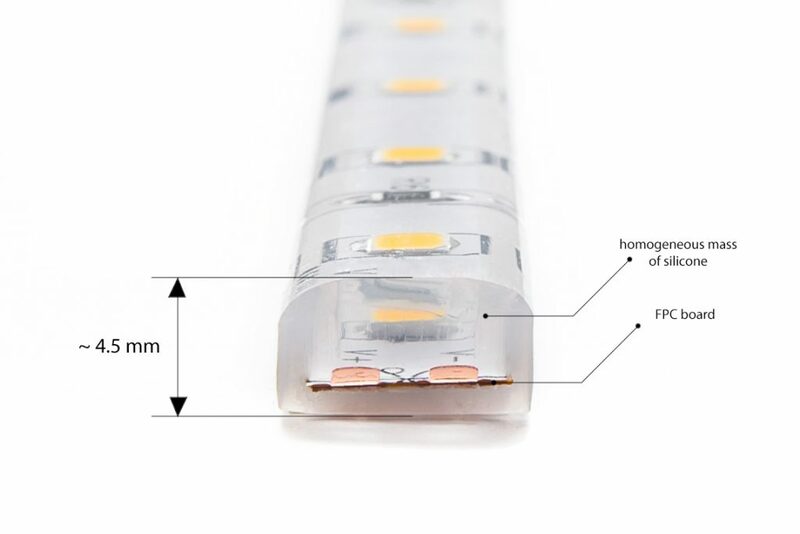 If you are looking at running high power LED strips inside of these silicon sleeves, be prepared for them to quickly become dimmer or even die just after a few months of usage. Often these silicon sleeves are used for digitally addressable RGB strip which means an LED won’t be on at full power all the time and gets a chance to cool off which helps prevent that issue somewhat. Personally I rarely use this type of outdoor rated LED strip, I most often don’t really see the purpose of it unless they need to go in a location that is fully exposed (to the elements and people), then they can be a good choice. The IP68 rating officially stands for “continuous immersion to a specified depth or pressure”. That means these strips can be immersed into water for longer periods of time making them suitable to use in an aquarium or outdoor pools/ponds for instance. It’s a silicon sleeve like above but then (pressure) filled with glue or epoxy making it completely solid. All the above limitations regarding cooling still apply so use where appropriate. You also need to use these LED strips with special end plugs which are also fully sealed to make them truly watertight. 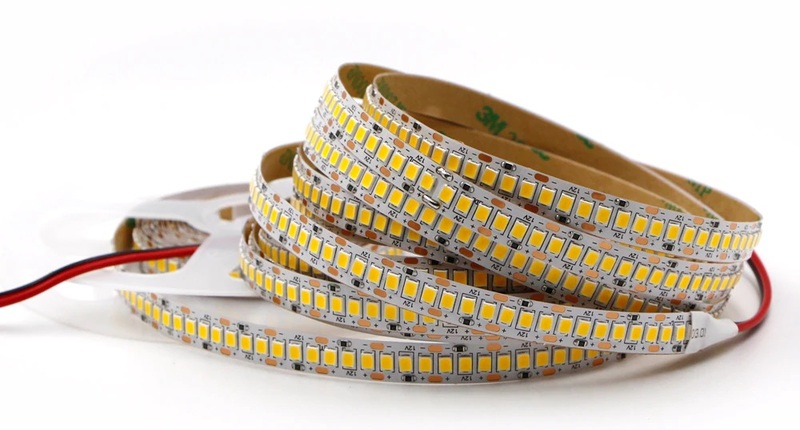 Hopefully this article helps you choose the correct LED strip for the situation you are looking for. Although outdoor strips can be used indoor it’s often not a good idea because of the extra heat epoxy layers or especially fully sealed silicon sleeves generate. Using an IP20 strip inside of an aluminium profile is highly recommended for indoor situations, then for outdoor IP65 can mostly suffice unless protection from the elements is impossible, then go IP67. And IP68 is only used in situation where water ingress in inevitable and you need something that’s fully sealed against the elements, whatever the conditions, even fully submerged.